The Men’s Club National Championship tipped off between the Ohio State Buckeyes and the Houston Community College Eagles. 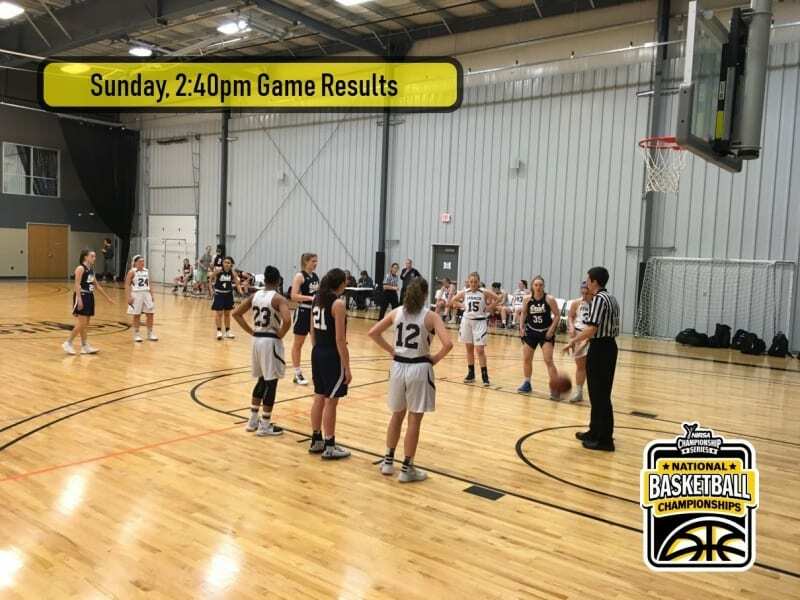 This was destined to be a hard-fought championship after a long morning of quarterfinal and semifinal games, all leading up to this moment in the Wichita, KS sun. Ohio State took a quick lead in the first five minutes of the game, holding tight with a two-point differential for the first five minutes of the first half. Offensive maneuvers by the Buckeyes had the Eagles quickly reworking their strategy to close the gap and overcome with a 21-19 lead going into halftime. With new defensive strategies focused on pushing back the Buckeyes and patience in shooting the ball, the Eagles managed to keep the lead for the majority of the second half, and seven minutes in the heat was on with HCC leading 32-27 over OSU. Ohio wasn’t going to go quietly or without a fight, and a couple of shooting fouls and free frows brought them to the 4-point differential they needed to drive it home. The game had strongly looked in favor of the fast-paced Eagles, but with critical missed free throw attempts things took a different turn. With five minutes left on the clock, the Buckeyes were down 4 points to HCC. A quick rebound and serious offensive moves turned the tables on this game and had the crowd on the edge of their seats for the final two minutes of play, where the Buckeyes took the lead 47-43. With less than 5 seconds on the clock, multiple fouls led to a serious advantage to the Buckeyes. On the final buzzer, the Ohio State Buckeyes became the championship team with a score of 51-45 over the Houston Community College Eagles. For a full statistical report on all players who participated in this game, as well as all other games in the NIRSA Championship Basketball Tournament 2019, head to IMLeagues.com/NIRSAChamp. There you will find statistics, game results, and more from this weekend’s event. You can also check out #NIRSABB on Twitter and Instagram (@NIRSAChamp) for photos, videos, and more from this weekend.